This is pretty close to done I think. 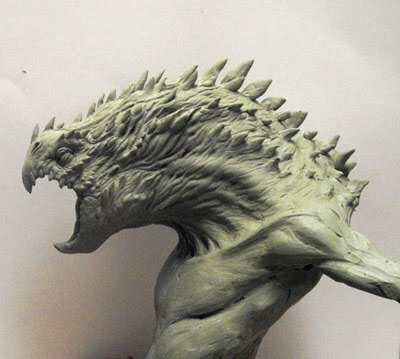 The original artists that created this concept is named Aris Kolokontes. 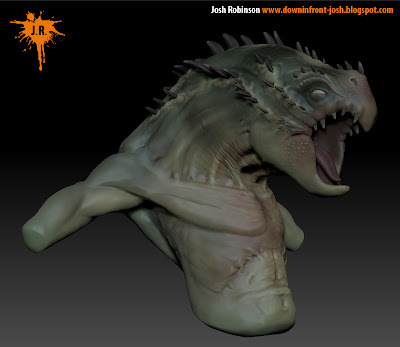 I found a practical sculpt of it online and worked of that for reference. I kept it pretty similar for the most part. The color pass is my own. 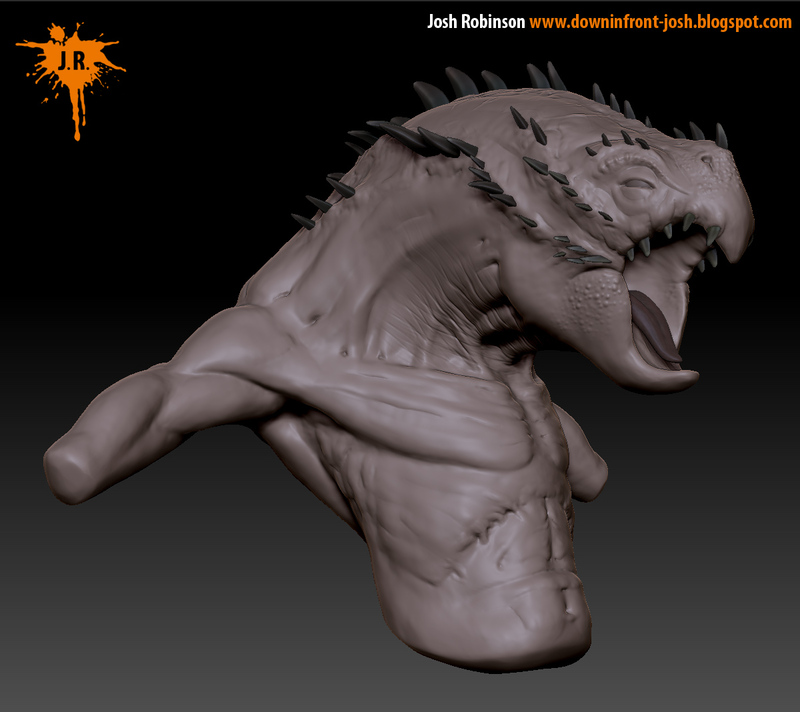 2 days on the sculpt I think and a few hours on the color concept.